Relax at the beautiful boundary beach, Odeceixe Beach. 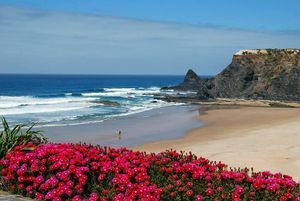 The Praia de Odeceixe Beach is located near the Ceixe river, which separates Algarve from Alentejo. 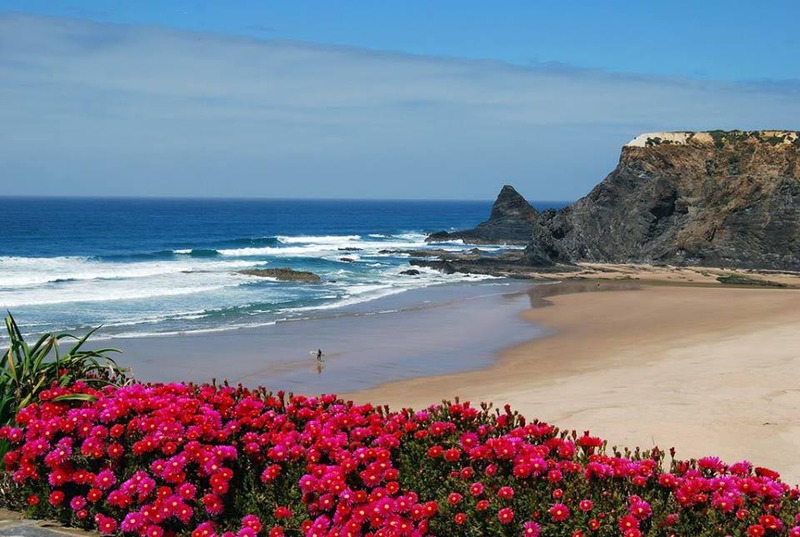 Odeceixe beach is a wide white sandy beach connected to the sea and river where you might find enchanting small lagoons where the little ones will have a blast of fun, safely. At this beach you might also rent canoes to paddle up the river and discover the habitat of several species as the otter, the egret and others which beautify the surroundings of this beach. The cliffs siding the beach are dark, made by shale and quartz. Near the beach, after the big rocks which you might overtake by foot, you’ll find the Adegas cove, a nudist beach. WC, rescue team and restaurants.